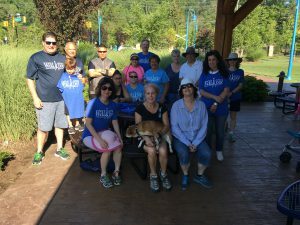 I have been facilitating walks with the Let’s Walk Group in North Jersey for the past several years. I have met so many wonderful people, some who have continued to walk with me while others have continued to walk on their own or with new friends they met while walking with the Let’s Walk Group. A few years ago I started walking with a group in Brookdale Park. In the beginning, the group told me they could not walk more than a mile. 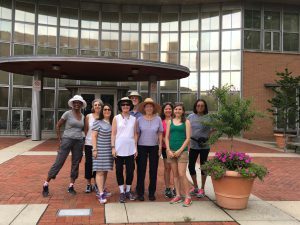 After several weeks of walking and chatting I announced to the group that they just completed a three mile walk. 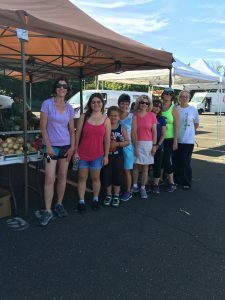 The reaction of joy and pride from this group is what continues to inspire me to share my time and knowledge of how “Just Walking” can help improve your life. Becoming active is one of the most rewarding and beneficial thing you can give yourself and those you care about. People who are active see positive changes in mood, have less stress and more energy. The good thing is you do not have to do high amounts of vigorous-intense activity. Walking doesn’t require special skills or equipment; making it possible for most people. Walking groups offer you instant support which helps you adhere to your fitness goals. Walking with a group encourages you to be social, provides motivation, accountability, and safety. So take control of your physical and mental health and join me for a walk. The Let’s Walk Group is sponsored by a grant from Partners for Health Foundation and the leadership of New Jersey Bike and Walk Coalition. Here is a list of where you will find us walking.